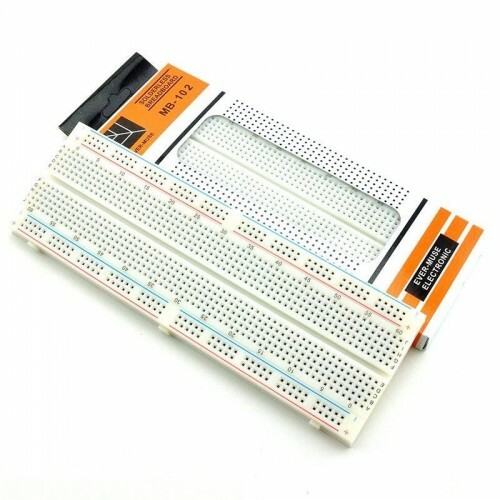 Purchase online MB102 Breadboard 830 Tie Points in India at low cost from DNA Technology. Frustrated of using low quality breadboards? Try out MB102 Bread-Board it is high quality and has 830 points. A breadboard is a construction base for prototyping of electronics. Originally it was literally a bread board, a polished piece of wood used for slicing bread. Because the solderless breadboard does not require soldering, it is reusable. This makes it easy to use for creating temporary prototypes and experimenting with circuit design. For this reason, solderless breadboards are also extremely popular with students and in technological education. 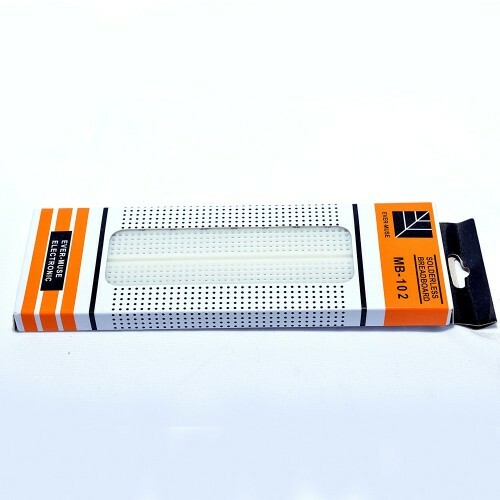 MB-102 breadboard, high quality for use. Colored coordinates for easy components placement. Special designed spring chip over 5,000 insertion cycles. 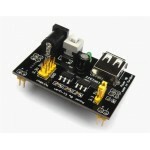 Breadboard Power Supply Module 3.3V & 5VThis is a must have for anyone who uses breadboard to pr..